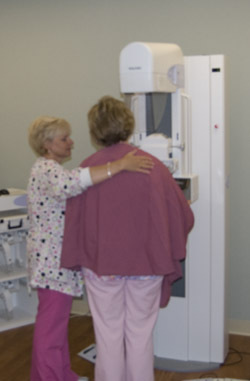 Digital mammography is one of the centerpieces of the ProMedica Breast Care breast imaging. It allows not only for advanced imaging but enables electronic transport of mammograms to the BCC. The digital mammogram machines are state of the art and were developed by Hologic. Digital mammography provides shorter exam time, lower radiation doses, higher sensitivity to abnormalities, reduces the need for repeat imaging, and is more comfortable than the traditional film mammography.